The region of Ses Salines enjoys the abundance of sun with 7 hours in average in spring, 6 hours in autumn and 5 hours of sun per day in winter. In the summer months you can expect to have 10 hours of daily sunshine with July having the most sunshine hours at 11. Ses Salines’ climate is typical of the coastal region that is highly influenced by the sea. During summer it is generally very warm and dry, with pleasant afternoon sea breezes. August is the hottest month in Son Servera with the highest average temperature of 32°C. The driest month is typically July with 3 rainy days. Winter is mild with the coldest months being January and February at 10°C in average. The wettest month in the region is December when there are 15 days of rain. The windiest months in Ses Salines are April and December, and November is the least windy month. The sea water temperature around Ses Salines varies significantly throughout the year. It ranges from 15°C in March up to 26°C in the month of August. The yearly average water temperature is 19°C and the best time for water activities is late summer, since Ses Salines is located in the northern hemisphere. 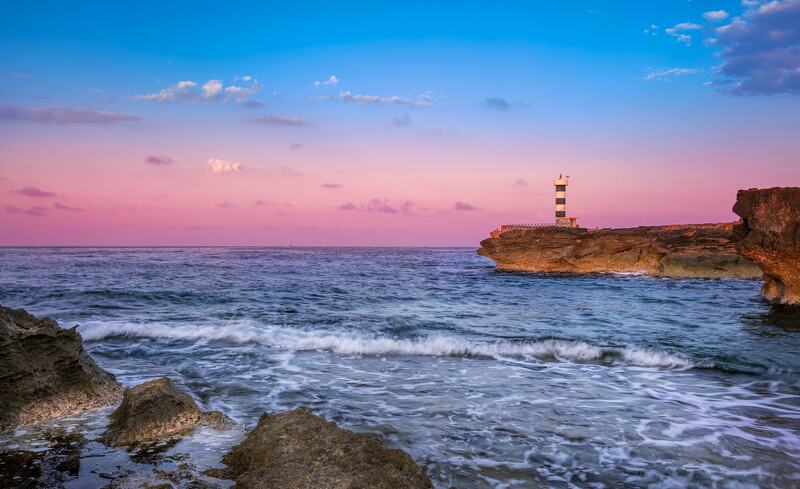 Located in the south-east corner of the island, between Campos and Santanyí, the municipal district of Ses Salines is incredibly picturesque and unspoilt. It is a perfect place to reside and enjoy the numerous historical and modern attractions and some of the most pristine white-sand beaches that you would find anywhere in the archipelago of Balearics. The region also has the benefit of being quieter than some of the Mallorca’s more popular resorts. Properties for sale in Ses Salines mostly range from penthouses to country fincas and villas. Homes are usually set in scenic, quiet and unique locations, offering countryside views or overlooking the sea as far as the island of Cabrera. 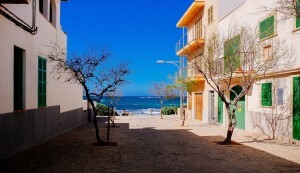 Some of the properties are just a few meters from the beach. The area near the beautiful beaches of Es Trenc has limited construction permissions yet there are some new property offerings existing. The average price for an apartment for sale in Ses Salines is lower in comparison to Mallorca overall and hovers around Average price per sqm. in South-Eastern Mallorca €2,901 -3% properties#: 315 last change on: 19 Apr 2019 €2,901 per square meter, while you can find houses for on average Average price per sqm. in South-Eastern Mallorca €4,113 0% properties#: 1135 last change on: 19 Apr 2019 €4,113 per square meter. Properties with a sought-after sea view position rise in value. Investment opportunities are currently on the market for Average price per sqm. in South-Eastern Mallorca €2,980 0% properties#: 107 last change on: 19 Apr 2019 €2,980 per square meter. Real estate agencies with the highest number of listings on Ses Salines property market are Tierra Mallorca, Bella Casa and Porta Mallorquina. Traditionally, Ses Salines has been an important area in Mallorcan history. It takes its name from the ancient salt mines which were already used by the Romans. The sea salt is still extracted from the nearby marshes and lakes during the month of August using traditional methods. It has become a major industry for the municipality, with gourmet flavoured salts such as the exclusive ”flor de sal” being produced for local use and export. Remarkably, the region also displays the history of the island as it houses remains of some of the Bronze Age settlements or ”talaiots” that date back as far as 9 BC. The capital of the municipality is a spacious and modern town of the same name a few kilometres inland, offering different excellent restaurants and quality stores. Its parish church provides a helpful point of reference for the yachtsmen and fishermen offshore. The incredible peaceful beaches are among the biggest attractions in Ses Salines. The most famous one is Es Trenc, lying to the west. With its crystal turquoise water and fine white sand, it is said to resemble the Caribbean beaches. The less visited, Es Carbó, Es Caragol and Ses Roquetes and more relaxing beaches with fantastic views of the island of Cabrera. The coastal village of Colonia San Jordi is the most popular resort in the region. Set on a rocky peninsula, it is surrounded by several wonderful beaches fingered by pine trees that provide shade and shelter to the beach lovers. Besides the town’s marina and fishing port, the beach of Sa Platja d’es Port is the most developed and is an excellent location for water sports. Here you can indulge in swimming, sailing, and snorkelling to enjoy its amazingly clear waters and exotic sea life. It also offers many fine restaurants, and the local seafood is famous all over Mallorca. Due to the beautiful ecologically unique landscapes that are found in Ses Salines, it has been attributed an “Area of Special Scenic and Rural Interest”. Also, it has become a location for birdwatchers from all over the world. There is a great nature reserve where you can see some interesting species of birds and plenty of wonderful flora and fauna. For active pastime, there are several cycling routes, which is an excellent way to explore the area. Moreover, for hikers, there are excellent coastal walks.